Home Wellness	The half-marathon countdown is on! Today I ran 11 miles for my weekend long run. I am using the Jeff Galloway beginner’s track and it’s great because the increase of distance is very gradual. For instance, many training plans have you increasing a mile or so each weekend. But the plan I am on has me doing something like 9.5 miles one weekend, 3 miles the next and 11 miles the week after that. For someone who is training not just for endurance, but also for technique, I really appreciate the extra time. 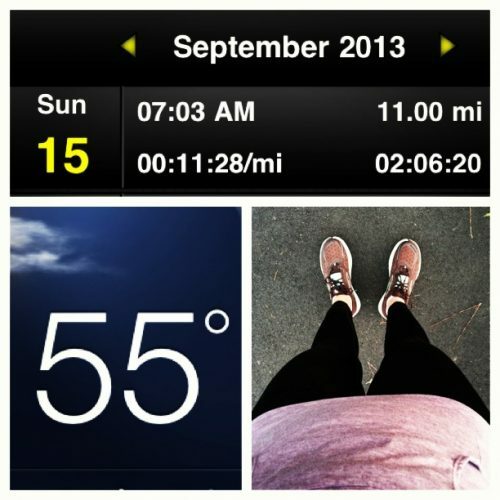 October 20th is just 34 days away and I am so ready for my first half marathon! 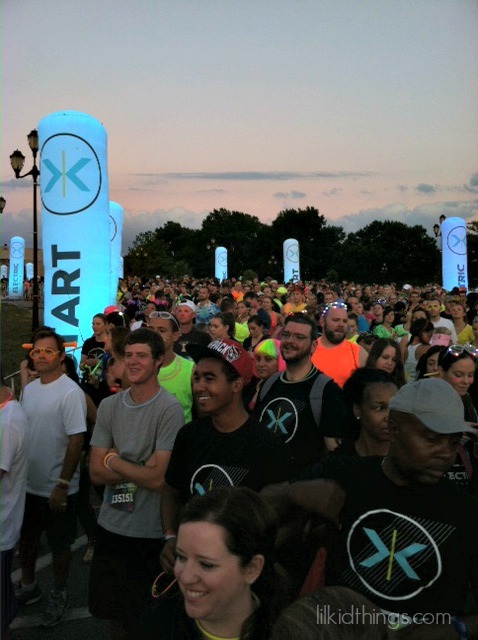 This weekend was really fun because not only did I have my long run today, I also ran a fun 5k with a few friends including Raleigh bloggers Erin Lane and Melissa Culbertson on Friday night. 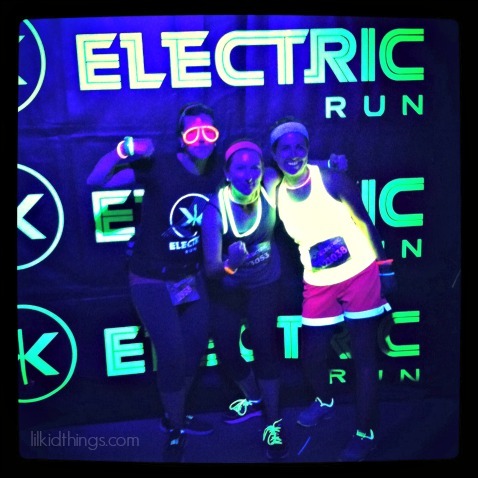 The run/walk was called the Electric Run which is at night and set to crazy techno music and black lights. I felt both awesome and ridiculous at the same time in my glowstick glasses! They said they were expecting 10,000 runners and I don’t doubt it with the size of the crowds. The energy was fantastic but I won’t lie, I may have been a little nauseous during the strobe light path to the finish. That said, we had a great time! The Bull City Race fest in October will basically be the hipster opposite of “club Electric” complete with local beer and a food truck rodeo at the finish. I love that there is so much variety with races now. There truly is something for everyone. However, I am starting to realize that the food trucks might not be as awesome as I once thought because the longer I run, the less I want to think about, look at or eat food when I finish. 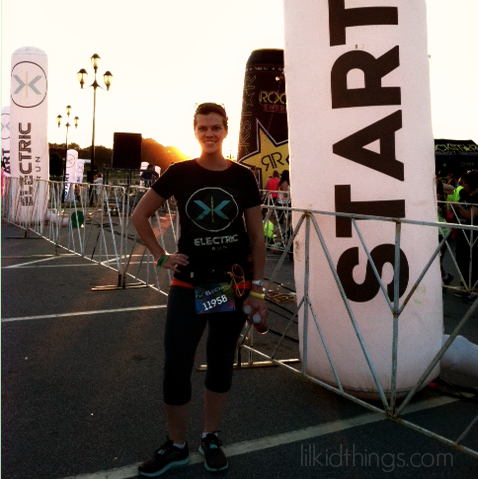 Regardless, I am really pumped about the race and I am so proud of myself for coming this far! It’s been quite the journey since the 5k I ran in April. Today I ran 11 miles. ELEVEN. Each time I complete a new distance record I am amazed at my body’s ability to do this. I was never this person. I am training my mind as well as my body on this journey. The awesome thing is I am getting outside more and the weather has been so amazing. I crossed paths a couple times with another runner who was going the opposite direction. The second time, we met he must have realized I was on a long run because he started clapping for me! This was right as I was about to start my last mile and I so needed that boost. I was smiling for at least a half mile after that. Bull City I am coming for you! I’m still learning, but so grateful to have the chance.